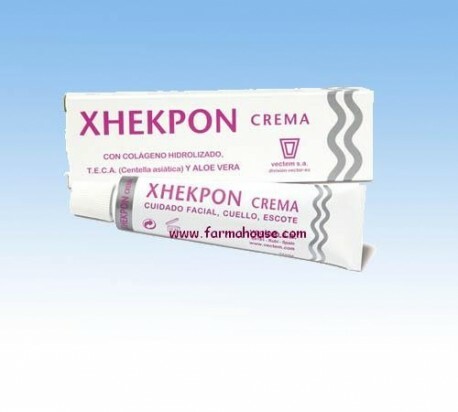 Collagen firming face cream that moisturizes, regenerates and energizes the skin. Collagen firming face cream that moisturizes, regenerates and energizes the skin. 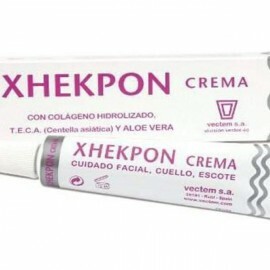 Enriched with Aloe Vera and Centella Asiatica. Blend wrinkles and expression lines. Wrinkle. Protective Xhekpon is recommended to help: 1.Retrasar wrinkles and alleviate the existing (crow's feet, Aruga around the lips, neck and chest, ...) 2.Aumentar hydration and skin smoothness. 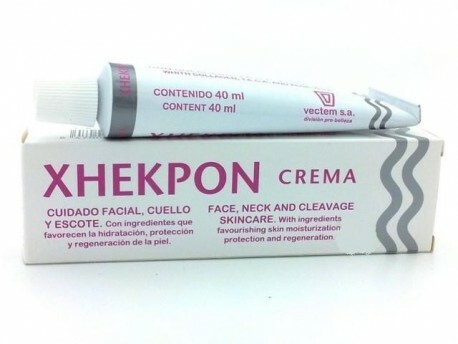 Relieve tension and dry skin. 3.Cuidar and protect the skin under the weather and low polluted environments. 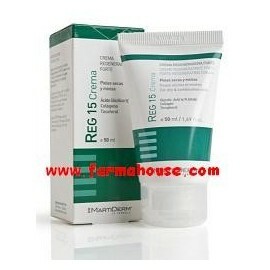 Recovery 4.Favorecer red or irritated skin. 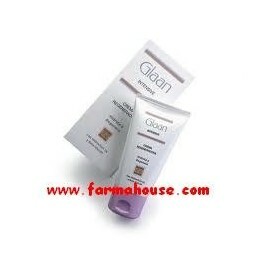 Is always applied on clean skin. The method of use is helping to penetration by making a circular massage on the way from the inside out in the face, top to bottom in the neck and décolleté. Applied daily improves the appearance of the skin and helps protect it from dehydration and external aggressions. Applied hydrates and nourishes night. 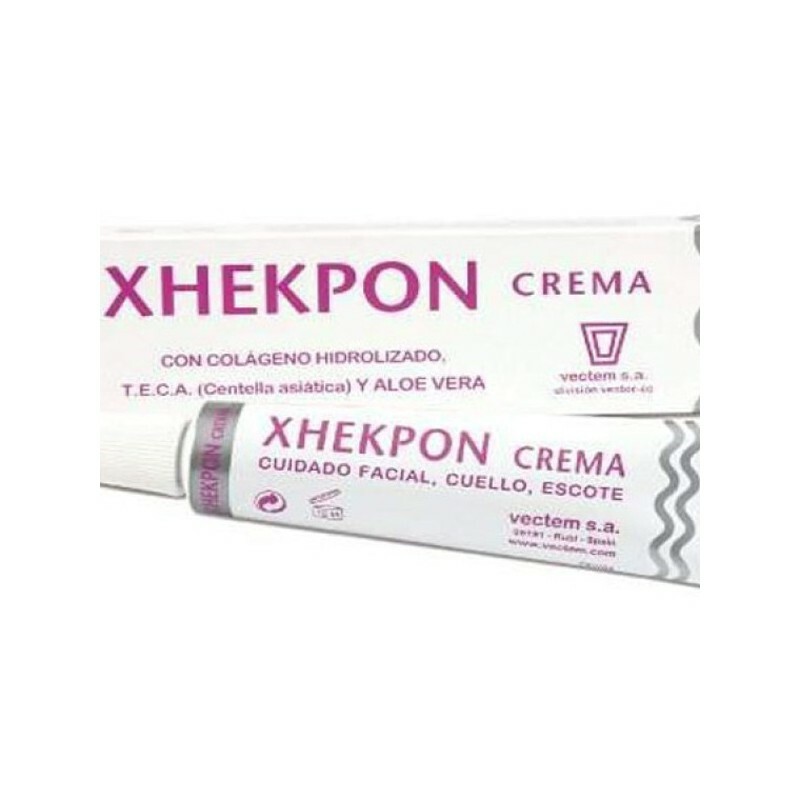 Your contribution of peptides, TECA and aloe promotes cell regeneration to repair the damage of the day and delays aging of the skin itself, keeping it firmer and more elastic. Presentation: 40 ml tube.